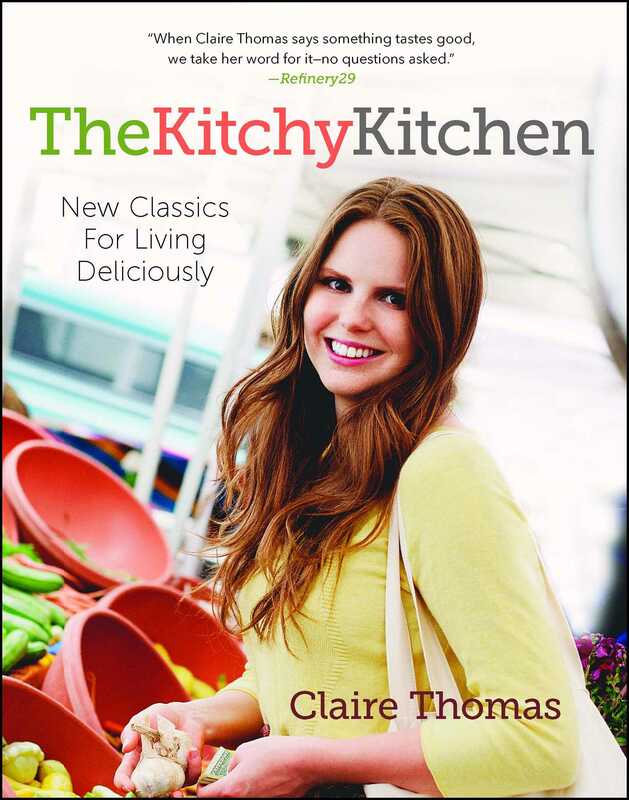 A playful and delicious cookbook from the host of ABC’s Food for Thought with Claire Thomas and creator of the much loved food blog The Kitchy Kitchen. "[Claire Thomas] has a career worth following... Claire is an inspiration. She's a rarity, turning a blog into a directing and hosting career." "The first rule of food is that it should taste good. When Claire Thomas says something tastes good, we take her word for it - no questions asked." "Claire encapsulates good work ethic and has a precocious talent for working with her hands." "Claire's enthusiasm for food is contagious - her recipes are hard proof that delicious home cooking doesn't have to be overly complicated or fussy. I can't wait to yum, mmm, and wow my way through the entire cookbook." "A wizard at making the kind of food that you really want to eat, Claire’s genius recipes are so gloriously good, you’ll wonder where she’s been all your life." "Claire has a smile that makes a stranger feel like a welcome friend. Her food is an intentional and indulgent extension of that grace...a true display of a life well eaten and lived." "It's like she knows exactly what I want in my head and stomach and laid it out page by page." – Fab Over Fifty, "Twelve Best Cookbooks of 2014"